Last month, we showed you a video of one of our dental patients, Simon Cohen, giving Dr. Blackburn III a favorable review of his crowns and veneers dental procedure (view post) performed at our dentistry in Buckhead. In this blog post, we have a video of Dr. Blackburn III discussing the dental procedure in depth. Please feel free to share this content if you liked what you read. Our office is located right across the Mercedes-Benz dealership in Buckhead. 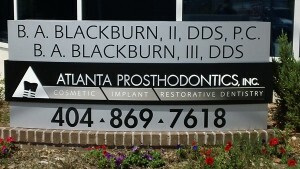 "Had a great experience with Dr. Blackburn and his wonderful staff. Very professional and his expertise in the field is unsurpassed. I would recommend his services to anyone, and have suggested that many of my patients see him as well. No regrets...just great results!"